I told myself that I will at least workout 30min – 2 hour at every early in the morning. I used to workout Crossfit and weightlifting 1 hour a day and consistently for almost a year. I was really skinny back then and I would say I manage to get ideal body (with the help of whey protein). However, one year ago, I had an accident when I was in Langkawi for a month. Due to the accident, I could not able to walk for more than 3 months. To make it worst, I gain so much weight due to an unhealthy lifestyle. Now, I’ve totally been recovering and I will try my best to work out at least 30min-2 hour a day. Not to mention my big day will be at the end of the year. 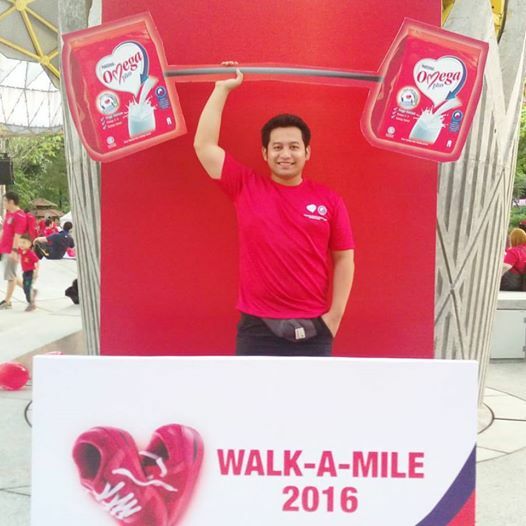 Recently I joined Nestle Omega Plus Walk-A-Mile 2016 at Lake Garden Kuala Lumpur and I totally love it. 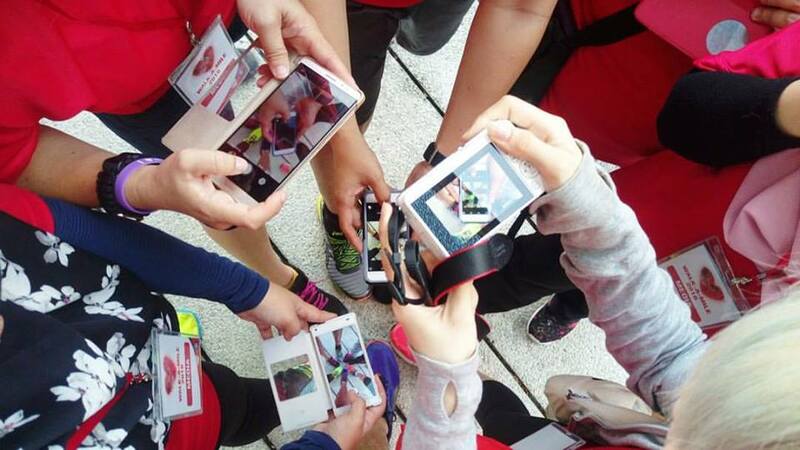 Actually, I was prepared for some run, then only I realize it is walking event hahaha… One thing for sure, I was so excited because this is my 1st event walk/run hehehe usually I just run on the treadmill. Do you know that it would take, on average, 1 hour and 43 minutes of walking to burn off a 540-calorie Big Mac. OMG!!! I just found out this is the 15th event organized by #YayasanJantungMalaysia. It was a fun experience. Thank you #NestleOmegaPlus for organizing #WalkAMile2016. I’m looking forward to next year’s event. It is important to provide energy throughout our day. 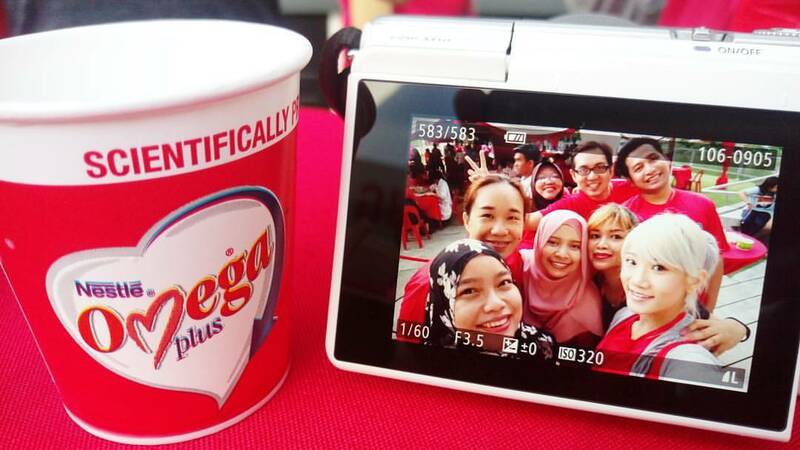 A bowl of cereal and 2 cups milk Nestle Omega Plus ® is sufficient to stay energized all day long! Do you know how important it is to take care of your health? 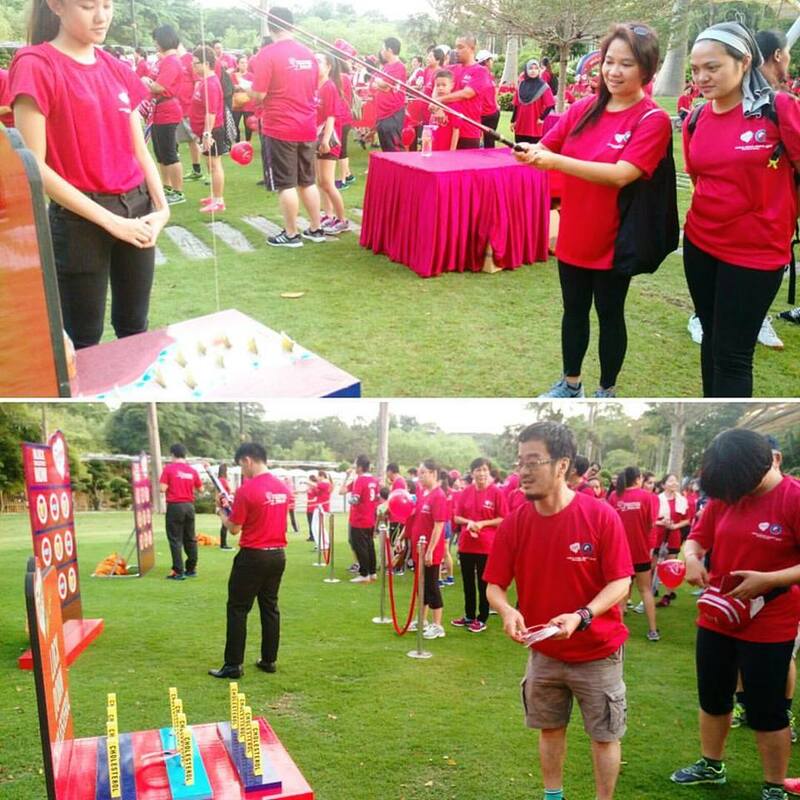 There’s plenty of activity were provided by Nestlé Omega Plus® for participants. Not to mention free flow Nestle Omega with cereals and of course Milo. I was very pleased with the activities organized. The most exciting activity is Zumba. 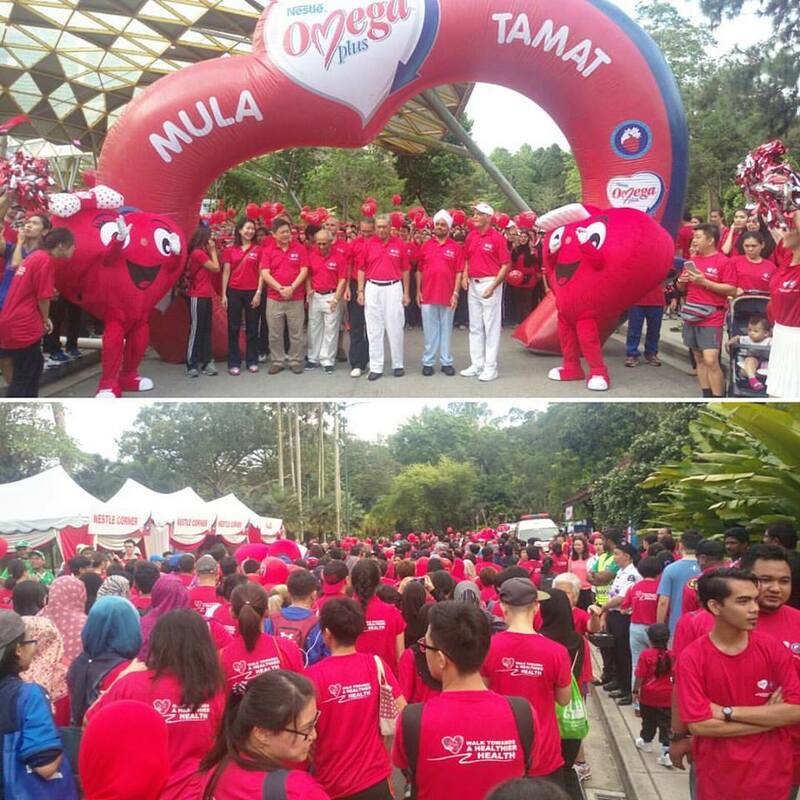 This year marks the 15th year that Nestlé Omega Plus® has organised the annual Walk-A-Mile (WAM) event, in collaboration with Yayasan Jantung Malaysia (YJM). WAM is the longest-running event for heart health advocacy in this country.